The crossover between Doraemon and Story of Seasons have been generating a lot of buzz in the East ever since Doraemon: Nobita's Story of Seasons was revealed at February's Japanese Nintendo Direct. The latest Weekly Famitsu magazine issue has a new coverage on the game, which includes an interview with key staff members that brings more details on the concepts and gameplay features. You can read a summary of the interview after the jump. This project was initiated by Koji Nakajima, a producer from Bandai Namco who is recently known for releasing One Piece games. He grew up while watching Doraemon, and he is also a fan of the first Harvest Moon game on PlayStation 1, having played it a lot. 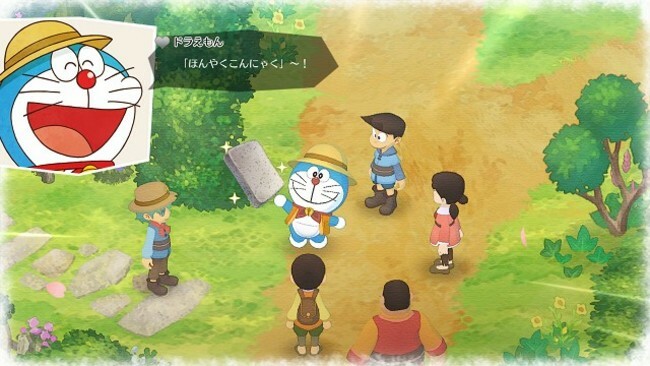 He wants to see a game that lets players have collected experience of Doraemon's appeals in its title and message elements among others, with the gameplay elements of Story of Seasons that properly reward the player's efforts. 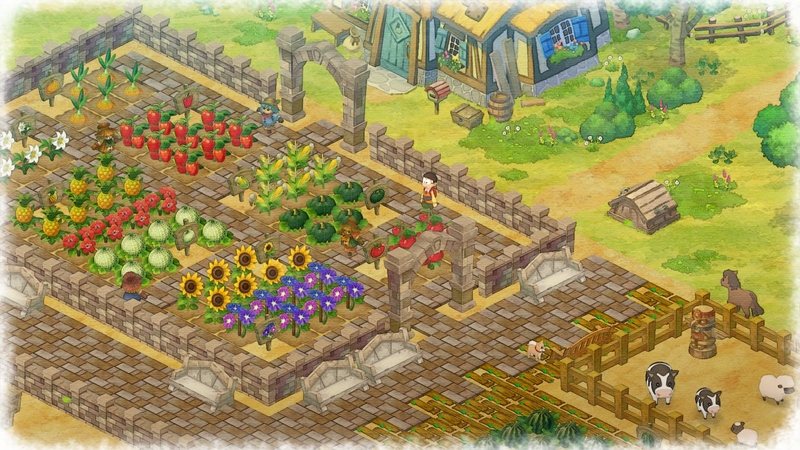 The influence of the first Harvest Moon is indeed strong in this game, as it returns to using the isometric quarter view. Due to this point, the developers at Brownies had to work hard in order to adjust the controls. And of course, it's not a Doraemon game if it doesn't feature Doraemon's secret tools. While these gadgets will make some of the inconvenient features in the Story of Seasons series to be more accessible, such as the Anywhere Door which lets the player instantly move between places, some of them had to be adjusted for the sake of balancing the game. For example, the Quick Growth Nutrient, which in this game can be used to speed up the growth of crops, had to be made into a finite consumable item. 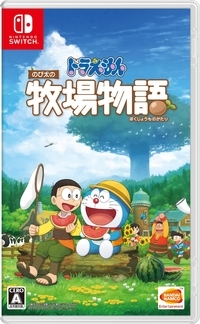 Perhaps due to the player taking the role of Nobita, Doraemon's protagonist who is known for having a crush on Shizuka, Doraemon: Nobita's Story of Seasons is confirmed to not have any romance or marriage features. In exchange for this, the game will instead feature familial love as its main theme. Many of the shops in Sheezen Town -the name being derived from the Japanese word Shizen which means Nature- are run by families, and the term familial love can range from between siblings, parents and children, to owners and pets. This game will have a lot of sub-stories with a total volume of more than five times that of the main story. Characters in the game, including town villagers, have events that will proceed on their own as Nobita builds up friendships with them. Some of these sub-stories will be solved with Doraemon's gadgets, and they will also provide comedic stories as seen in the TV show instead of just touching stories like in the movies. Story of Seasons is an important title for Marvelous. [...] Currently, we are also working to produce a new game in the Story of Seasons series separately from this game, as we are going to expand Story of Seasons even further from here. 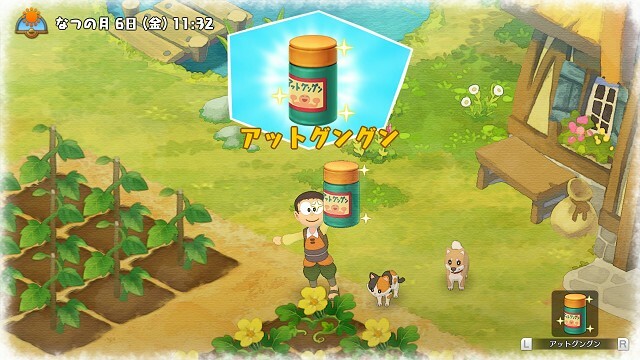 Doraemon: Nobita's Story of Seasons will be released for Nintendo Switch in Japan on June 13. An English localization for this game has yet to be announced.